Clayton started his career as a trainee at Tottenham Hotspur, before moving to Bristol City In August 2000, staying there for six years. He went out to Port Vale on loan in November 2005, which was extended until the end of the season. He was going to join Vale at the end of the season, but failed to agree terms, and joined Leyton Orient. He fell out of favour at Brisbane Road, and went back to Port Vale for another loan spell. He dislocated his shoulder the following season, and was eventually released in May 2008. He joined Darlington in June 2008, but struggled to gain first team football, and he arrived at Nene Park on a one month loan deal on 5 November 2008 to bolster Garry Hill’s defensive options. After just the two appearances, he returned to Darlington and was released at the end of the season. He joined Conference South side Weston-super-Mare on 23 July 2009, scoring 5 times in 31 appearances. 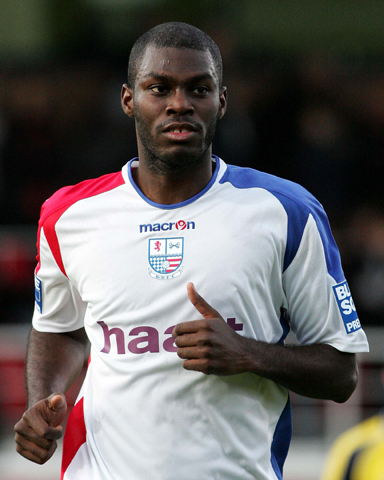 After a trial at Aldershot the following summer, Clayton joined the League Two side in July 2010, spending the season with the club, but dropped down into the non-league scene again the following season when he signed for Southern League Division One South & West side Mangotsfield United in June 2012. After nine appearances for the club, he left on 1 October 2012 to join Southern League Premier side Chippenham Town. After 4 weeks and just two appearances, he joined Southern League Division One South & West side Clevedon Town. On 27 February 2014, Clayton rejoined rival side Mangotsfield United. He rejoined Conference South side Weston-super-Mare on 18 June 2014, in a player/coach role. He joined Hereford FC in late 2016, staying with them until the end of the 2016/17 season. He returned to Clevedon Town for 2017/18 as a player and assistant-manager. He returned to Mangotsfield United before the start of the 2018/19 season.